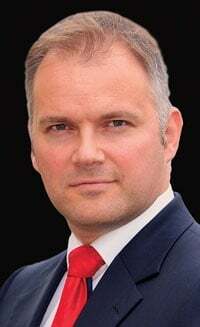 Harald Hamprecht is returning to Crain Communications Inc. as editor-in-chief of Automotive News Europe. Hamprecht, 36, joins ANE from German consumer magazine auto motor und sport where he spent more than three years as the magazine's chief business reporter. In 2008 he also was named online director. From 2002 to 2007, Hamprecht was a reporter at ANE sister publication Automobilwoche. He will start at ANE Jan. 1. Hamprecht has a degree in business administration from the University of Mainz in Germany. ANE returned to print Sept. 27 with a 52-page magazine and will publish four times in 2011 -- in March, June, September and November. To subscribe to the issue or see the digital edition go to autonews.com/europesubscribe. For daily coverage of all European auto news, including daily and weekly e-mail alerts, go to autonewseurope.com.